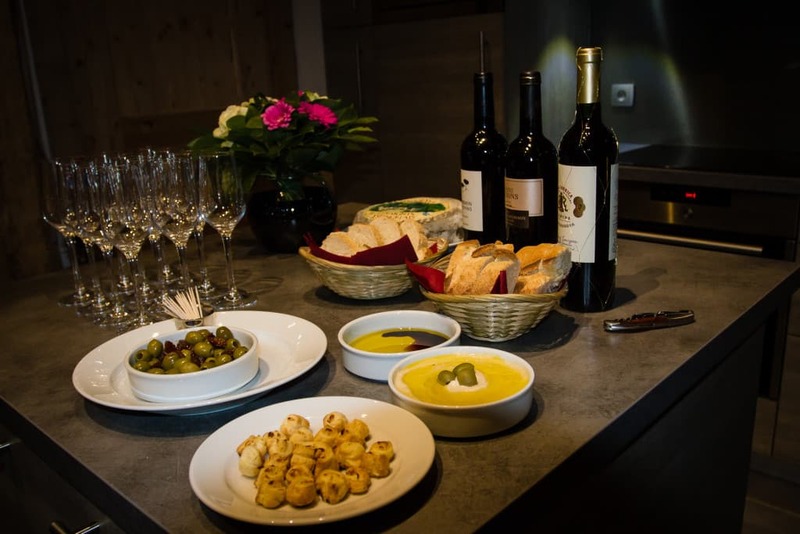 Food and wine is an important aspect to any holiday and we pride ourselves on providing good quality food and wine for you to enjoy. Bon appétit! 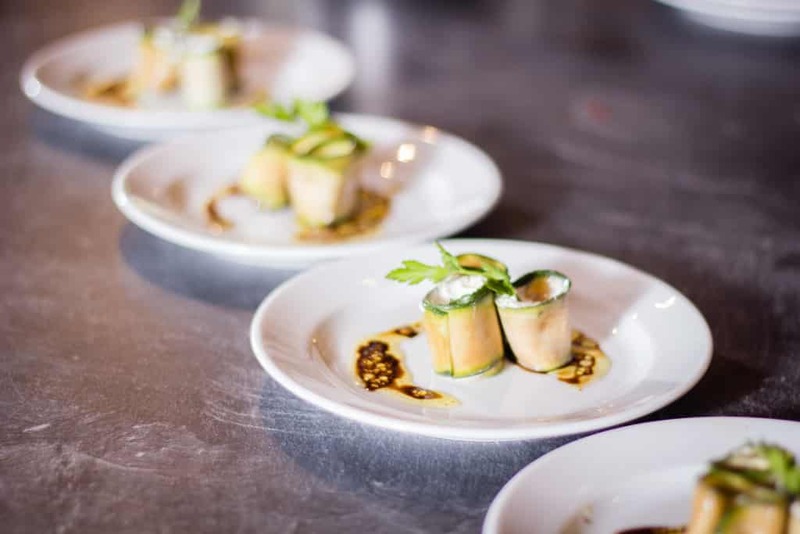 Our food is well thought out, freshly prepared and cooked in the chalets on 6 evenings. Where possible we use local butchers, bakers and greengrocers and we offer a cheese board with locally sourced cheese. We can provide vegetarian, vegan and coeliac options at no extra charge but they must be booked 2 weeks before you travel. If you have any other requirements please discuss before booking. 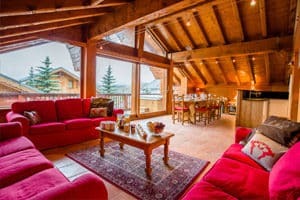 Breakfast – In our larger chalets a member of the chalet team will prepare fresh eggs, bacon and porridge. 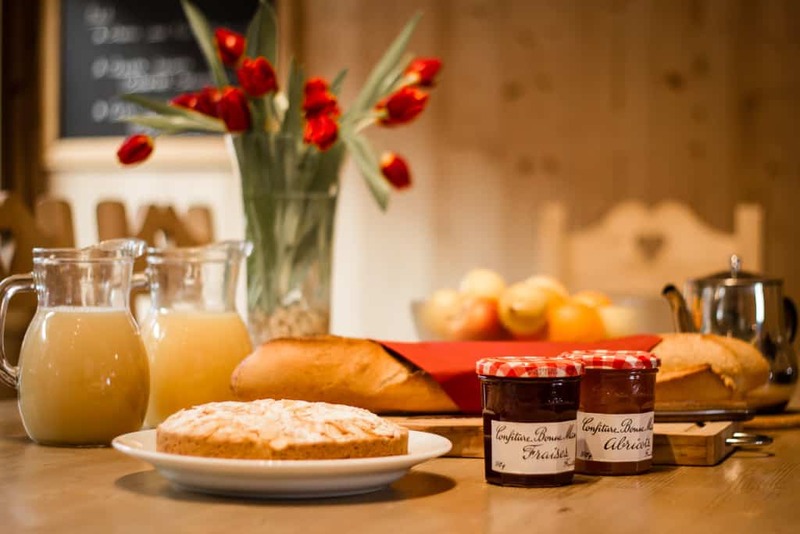 Fresh French bread, a selection of jams, yogurts and cereals in also available for you to help yourself to, alongside freshly brewed coffee and tea. 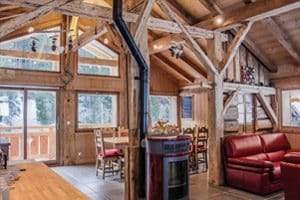 In our smaller sole occupancy chalets (Cosy, Falaises, Rulens, Camille, Upper and Lower David) breakfast is self-service with the same delicious options available – and again with no clearing or washing up as your chalet host will do this! 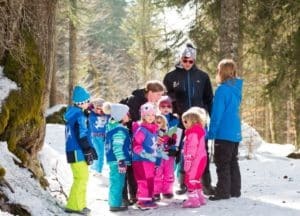 Children’s Lunch – Lunch is an opportunity for adult guests to try the fabulous piste side offerings whilst for those children booked into our childcare clubs there are two courses of freshly prepared, hot and wholesome food included. 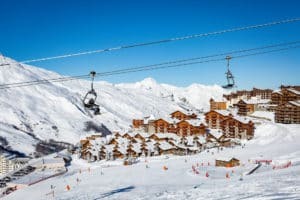 Afternoon Tea – When you return from skiing there will be a freshly baked cake or biscuits waiting for you with baguettes and fruit as well as tea and coffee left out for you to prepare. Children’s Supper – Our children’s menus use tried and tested recipes from cooks like Annabel Karmel and Rachel Allen. We make pureés for babies, it’s all fresh – not from jars! Children’s supper is usually served at 5:30pm and is a two-course meal prepared using wholesome freshly cooked ingredients – we do ask that parents supervise this meal but staff will again be on hand to clear away. Adult’s Dinner – Our delicious adult three course evening meals are served from 8:00pm designed to appeal to everyone with canapés (a favourite early evening treat served a couple of times a week) a dinner-party style starter, main and dessert with a cheese board available for those with a hearty appetite, all served with unlimited red and white wine options. Family Food Option – In our smaller sole occupancy chalets (Cosy, Falaises, Rulens, Camille, Lower and Upper David) guests have the option of either the above separate evening dining or the option of eating together a delicious meal of canapés, freshly prepared homely style main and comforting desserts. Example main courses include hearty and healthy cottage pie, roast, vegetable stir-fry, and home made burgers. Desserts include tarte tatin, brioche bread and butter pudding and cheesecake. The Family Food option is served 6:00-7:00pm along with the same selection of high quality wines for adults. 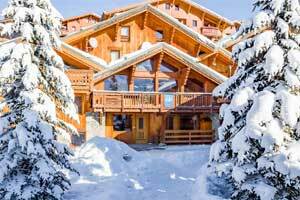 This option must be pre-booked at least 2 weeks before travel for one or two families in the above chalets only. 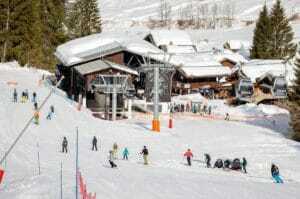 Unfortunately we can’t offer this option in the larger shared chalets due to seating and service constraints. 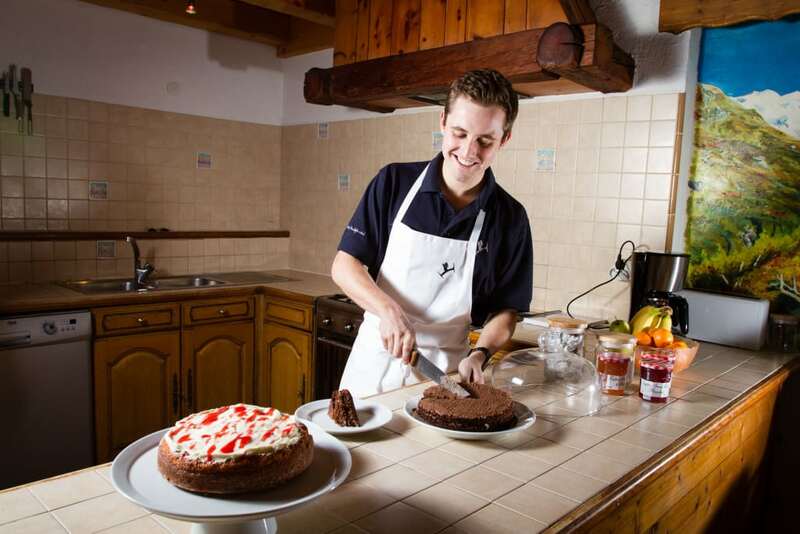 Cook’s Night Off – Our hard-working chalet cooks receive a night off on either a Tuesday or Wednesday depending upon resort. 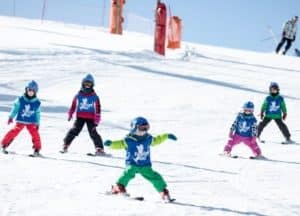 Families can eat together at a choice of local restaurants or parents can enjoy an evening out, with babysitters available to look after your children in the chalet with a pre-ordered takeaway pizza. Allergies – We take your health seriously and can cope with most allergies, but you must put your requirements in writing to us to enable us to pass the information over to staff who are preparing your food. If you have any questions please do call us in advance as it can be difficult to source some items in France. Dietary Requests – If you or your children have any dietary requests these again must be put in writing to enable us to let the staff know in resort. Specific ‘dislikes’ for instance, no peas or carrots are not considered to be valid requests. We can provide gluten free cakes and pasta, and we can usually source soya and goat’s milk, yogurts and dairy-free spread. You can view samples of our menu below, we hope it whets your appetite. We offer a choice of red and white house wines that are sourced locally. It is of good quality and is bottled, not out of a box into a carafe. 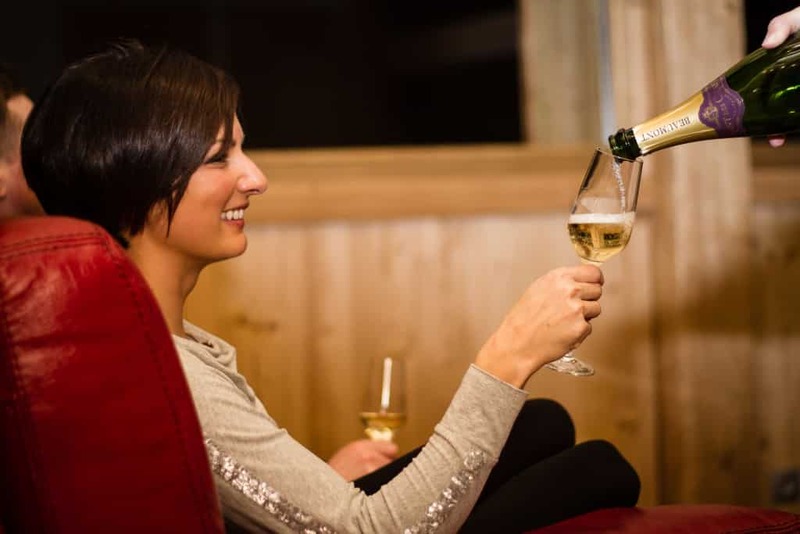 We offer wine before, during and after dinner – please feel free to drink it whenever you like. We have a small supply of Champagne and Prosecco in resort for you to purchase if you have something to celebrate or even if you haven’t! 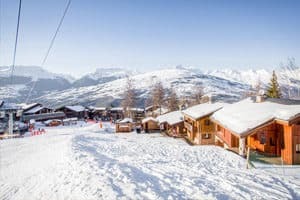 We also offer a euro bar, this includes beer, soft drinks, chocolate and handy snacks – the staff stock this themselves, Family Ski do not make anything from this, any profits go to the staff.